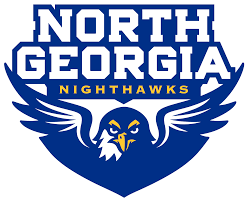 According to the University of North Georgia Athletics Department, UNG women’s soccer seniors Renee VanHorn and Asa Thorsen were picked to the All-Peach Belt Conference First Team. The announcement was made at the tournament banquet on Thursday night. VanHorn finished in fourth place in the league with 12 goals on the season. She added three assists as well to total 27 points. Six of her 12 goals were game winners. Thorsen put two goals in the back of the net and assisted on three others this season as a key player in the midfield for the Nighthawks. VanHorn and Thorsen were two of just four players on UNG’s side to play and start in all 16 matches this season. 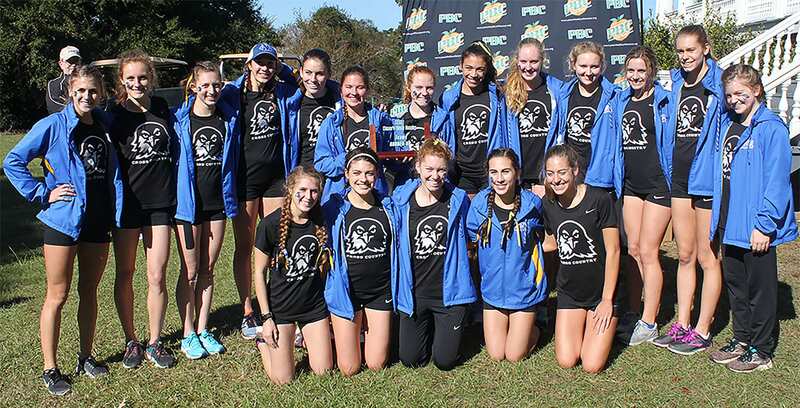 According to a press release from the University of North Georgia Athletics Department, the UNG women’s cross-country team finished in second place on Saturday at the PCB Championship. UNG junior, Aleah Johnson, led three All-Conference runners to second place behind Flagler Saturday morning at Redcliffe Plantation. Johnson finished in fourth place overall after running a 5K time of 18:40. UNG junior, Bree Hammond, finished in sixth place at 18:51, while sophomore, Kaylee Haake, finished in 15th at 19:09. All three earned All-Conference honors. Flagler won the race, finishing with 46 points, followed by UNG at 60 points. Columbus State, Georgia College and Augusta rounded out the top five. 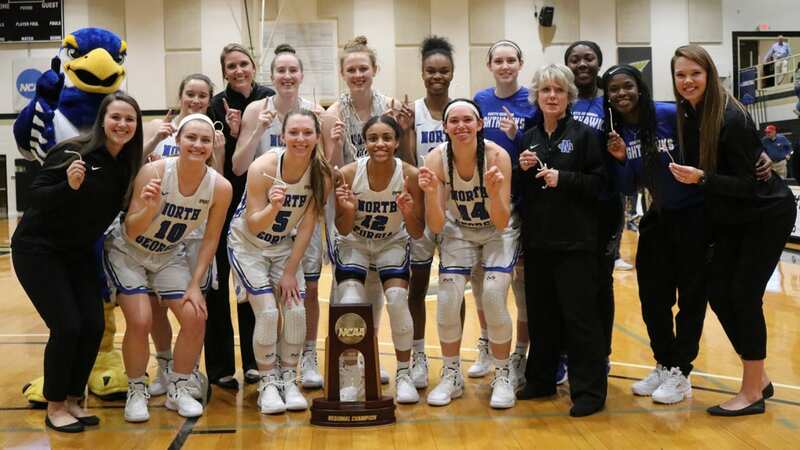 This is UNG’s fifth top-2 finish in a row after claiming runner-up honors in 2014, 2015 and 2016. According to the University of North Georgia Athletics Department, the Peach Belt Conference named nine UNG cross-country runners to the All-Academic team on Friday, October 26. The nine Nighthawks are a part of the 36-runner team. UNG had the most runners honored, followed by Georgia College with eight. The Nighthawk honorees are: Emma Brown, Sarah Buckler, Maria Coughlin, Makayla Ellis, Bree Hammond, Aleah Johnson, Jordan Mund, Kenedi Rodney and Olivia Terwilliger. To be eligible for the All-Academic team, a student-athlete must 1) participate in at least half of his/her team’s events and be either a starter or significant contributor; 2) achieved a 3.30 cumulative grade point average (on a 4.0 scale) and 3) completed at least one full academic year at his or her current institution and has reached sophomore athletic eligibility. The Peach Belt Conference Sports Information Directors oversee the program. 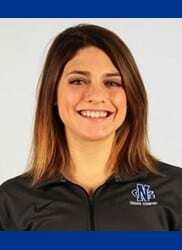 According to a press release from the University of Georgia Athletic Department, Nighthawk Cross-Country freshman, Kaylee Haake, earned 20th place out of 292 runners at the Sand Shark Invitational on Saturday, October 20. The UNG cross-country team finished in sixth place, beating out every southeast region team. They also finished in third place in the Division II category. Savannah College of Art and Design won overall, followed by Embry-Riddle and Florida Southern. Haake is a Union Grove High School graduate, and she ran a 19:04, pacing the Nighthawks in the 5k race. UNG sophomore, Aleah Johnson, finished in 26th, with a 19:15. Sophomore Bree Hammond, was only three seconds behind Johnson, finishing in 29th. Nighthawks, Maria Coughlin and Makayla Ellis, also scored for UNG; Coughlin finished in 33rd, and Ellis finished in 45th, respectively. UNG will travel to Redcliffe Plantation on Beech Island in South Carolina on November 3, to race in the PBC Championship.